Pax, Kevin, Todd, Michael and Jaden do everything together – whether it be comicon prop design to impress the girls or acts of supreme juvenile delinquency. They have this sort-of game – the counting coup – it’s based on an Indian tradition where the highest form of bravery was sneaking up on their enemy and tapping them on the shoulder. Showing them that you could have done something but ultimately did not. Suddenly, the whole gang is shuttled from Colorado to live as refugees in a foreign country. 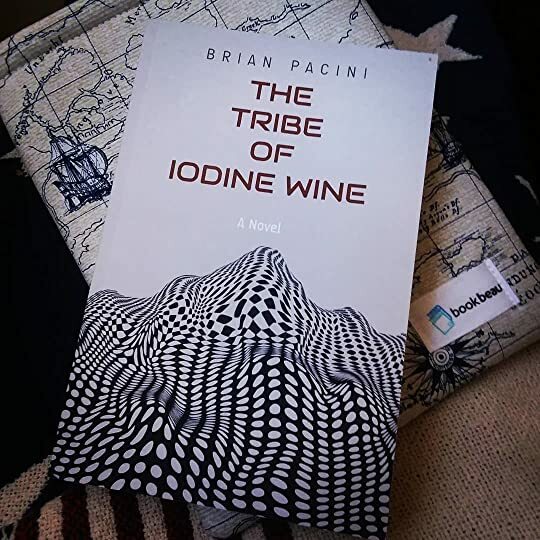 They’re joined by other students from across the country and together they form The Tribe of Iodine Wine. (love the title tie-in). Only, they aren’t being treated as refugees by the military monitors- there’s something brewing in the Middle East, people – friends – are dying and there are coups (real coups) happening left and right. Will the Tribe survive? I was riveted. The way Pacini portrayed teenagers really me drew me into his world – finally a YA where the kids actually seem like young adults. His characters were diverse – in personality, race, socioeconomic status, religion and disability– and this not done in the typical YA fashion (i.e. throw an ethnic minority into the mix and hope it seems vaguely realistic). These characters felt real. And that plot – fantastic! The pace had just the right amount of tension, intrigue, mystery and fluff. I loved it. This will definitely be one I’ll reread!